We released today the beta-test version of Battery Stats Plus, a cloud-based battery analyzer to detect draining applications on Android phone. 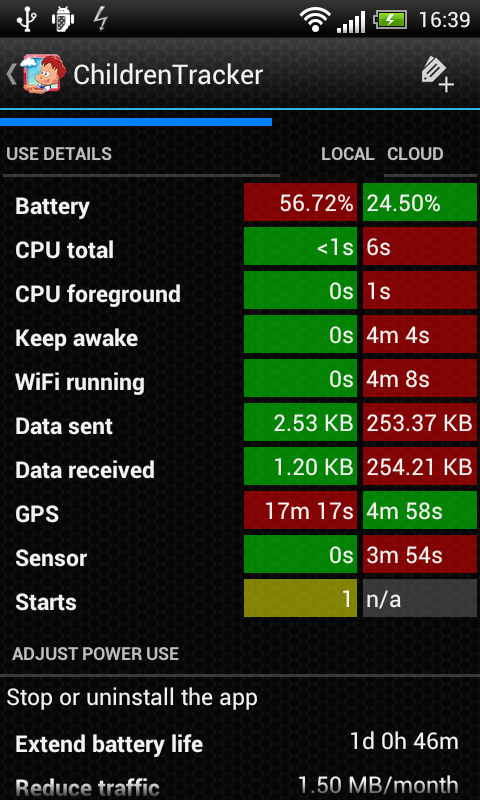 The application collect and analyze battery usage per app basic on your Android devices. Usage attributes include CPU, CPU foreground, network, GPS, sensor, wake lock, and battery information. It also detects and notify apps that drain battery. Statistic data is optionally uploaded on our cloud and shared with other users.